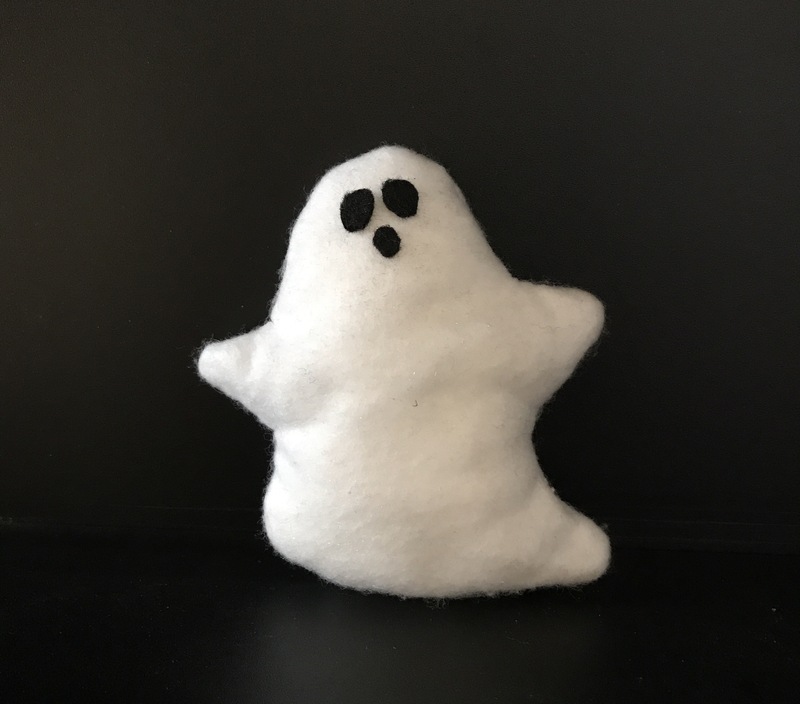 ﻿Quick and easy to whip up, you can use these ghosts as decorations or add to a treat bag. 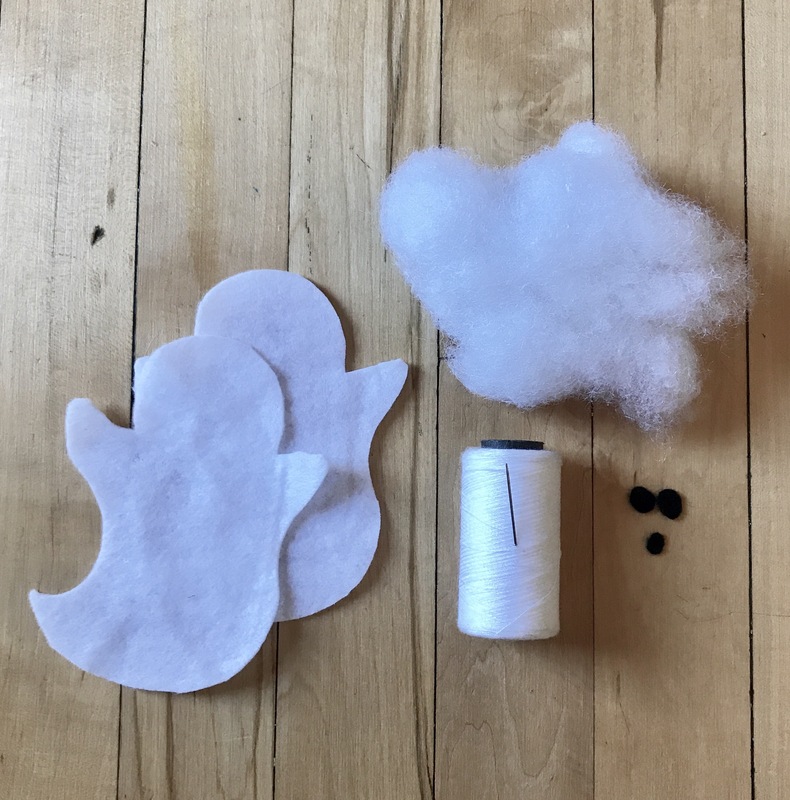 Since they’re ghosts, you can cut the felt freehand to whatever shape and size you want. Stitch the felt pieces by hand or on a machine. Turn them right-side out, stuff and then sew them shut. Add eyes and a mouth and your done! You could also add lavender to make ghostly sachets or catnip to make spooky cat toys.